11-year-old Junior Blue Alex sums up today’s victory with his match report as part of the Junior Blues Takeover 2019! Chester made 2 changes Grant Shenton for Connor King and Akwasi Asante for Gorge Green. The first big moment of the match was when Jay Rollins for Boston dived in the penalty area and was shown a yellow card. In the fifth minute Gavin Allot hit the post with a good shot. Chester had their first chance when Matty Waters linked up with Craig Mahon to open a gap for Waters to have a shot saved. Mahon then had his own shot saved by Willis and the rebound from Dudley. 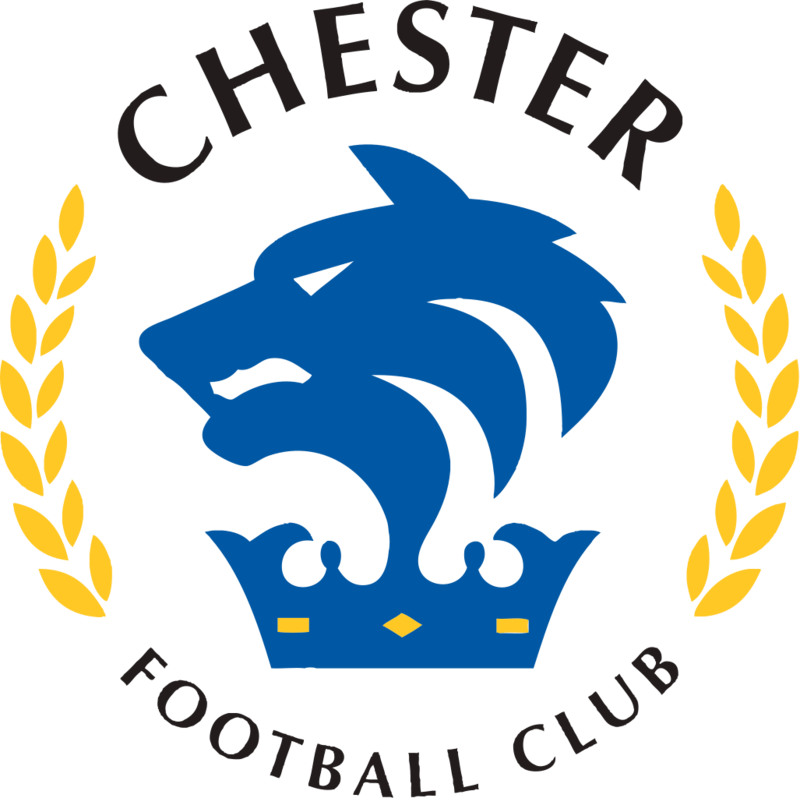 Chester took the lead when a Roberts cross was headed on by Howson then Akwasi Asante bundled it in. Then Boston hit the post for the second time this time threw Nicky Walker. Asante headed just wide, before Anthony Dudley made it 2-0 with an exquisite finish from Mahons cross. At half time Chester were forced into a change as Akwasi Asante was replaced by Gorge Waring. On the 53 minute Chester conceded a free kick which was whipped in and Spencer Harris forced a good save from Grant Shenton. On 58 minutes Mooney cut back inside and sent a curling shot just over the bar. Only a minute later Dudley sent a rolling shot just wide. On 62 a great chance fell to Craig Mahon after Shenton launched a free kick which came to the back post which was deflected in by Spencer Harris. A couple of minutes later Mooney batted away a ball that was going out for a throw in and then got the book. Boston’s first substitution came when ex Chester player Brad Abbot came on for Nicky Walker. 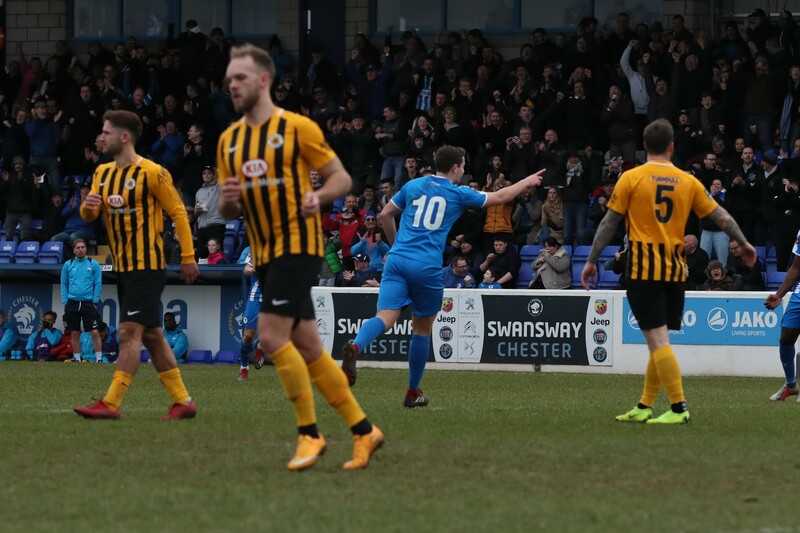 Then on the 72nd minute Livesey conceded a free kick just outside the area and another ex Chester player Ben Davies scored a great free kick. But only a minute later on his home debut Gorge Waring headed in a superb goal. The Man of the Match was Anthony Dudley and it was well deserved grabbing a ‘goal of the season contender’ as reported by manager Anthony Johnson.